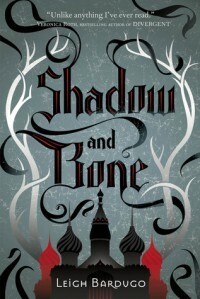 Shadow and Bone (The Grisha #1) by Leigh Bardugo - Oh, For the Love of Books! 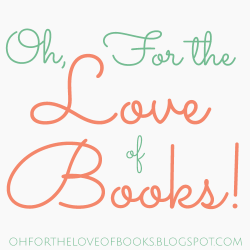 Originally found on my blog Oh, For the Love of Books! This, this, is high fantasy. Words cannot describe my love for this book!! I feel like how the cookie monster would if he just found out he won a GIGANTIC COOKIE! Shadow and Bone is high fantasy at its best. The world is beautiful and breathtaking. The characters are fantastically written and engaging and you can't help but love them. The plot is unique and intriguing and simply fantastic. *hug* You, are a what strong character should be. Alina's growth throughout this book is just phenomenal! She's not a strong character instantly. In fact, she's very lonely and quiet and an outcast. She's very reserved, but attentive. She's never been the prettiest girl or the toughest girl or the funniest girl. She was an orphan and never really felt loved. The only friend she had was Mal *refrains from fainting*. But you know what? She's brave and selfless and I couldn't help but respect her for that. In order to save the life of a friend, she is willing to risk her own, in the process learning about a dormant power. And here's where I really come to love her. She's not like other YA heroines who start to think they are "all that" because they have special powers, nor does she deny them vehemently from start to finish. Nope. She accepts it and wants to be the best she can be. Yes, I wanted to give her lots of hugs throughout the book. Don't judge. She knew she wasn't going to be perfect the first try and she knew she had to work hard at it, but at least she did. Did she sometimes get frustrated? Sure did. Who wouldn't? But even then she kept trying and working hard. Throughout this book she has to learn to accept who she is. She has to overcome some barriers in her past to do it but she does and I rooted for her because of it. But I'm most intrigued with his backstory (and I sure as heck didn't see thatcoming). Yes, I know he probably is most likely evil in every sense of the word, but I can't wait to see what made him like that. It's part of his allure. What can I say, I like swooning over the bad boy. Sue me. Really, need I say more? Okay, I will because I can't stop gushing XD He's so incredibly sweet with the perfect amount of protectiveness thrown in. He knows Alina can be the best she can be and he wants to help her become that. He's always believed in her and would literally walk to the ends of the earth for her!! Just....GAH! He's fantastic. That's all there is to it! I was instantly drawn into this complex and beautifully breathtaking world. She did a fantastic job of creating the Fold and giving it the creepy and scary atmosphere it deserved. Seriously. The Fold is freaking terrifying. Sure, I'd put on the facade of being all tough and whatnot, while on the inside I'd be screaming like a little girl. Scratch that, I'd probably actually be screaming like a little girl. But its fantastic! She doesn't just tell you it's scary, she showsit and makes you feel it. Kudos! Yes, the plot is as equally amazing as the characters and world! She just got the whole package right!!! Its incredibly unique and intriguing. Monsters? Grisha? Powers? The freaking FOLD?! Holy, moly. It's some intense stuff. The action starts off from the very beginning. You get to see monsters and the Fold and fighting. Then you get your court setting and court intrigue and never knowing who to trust and whats going on and its AMAZING! I could go on and on but you must read this book to find out all the awesomeness that is the plot for yourself. My review does not do this book justice in the slightest. This is high fantasy at its best. I adored all the characters. I loved Alina's imperfections and the fact that she grows so much throughout the book. While I may be coveting after the alluring Darkling, I'm simply swooning over the perfection that is Mal. The world is incredibly unique and beautiful in its own terrifying way and the plot is simply addicting. If this review doesn't get to you buy this book, I honestly have no idea what will.